CableFree LTE Base Station and CPE products support LTE Advanced, the new standard for high capacity services delivered over LTE networks. LTE Advanced, a critical component of the drive for 1000x increase in mobile data capacity, launched in June 2013 to address the requirements of mobile data networks. While LTE Advanced is rapidly gaining momentum worldwide, the industry is busy with its evolution, which not only further improves the performance through enhanced receivers and other features, but also expands LTE into many new areas, such as bringing it into unlicensed spectrum, direct device-to-device, terrestrial broadcast TV and more. The 3GPP are defining a continual roadmap for LTE to encompass future needs and capacity increases for LTE-Advanced. CableFree LTE-A devices support the very latest LTE standards including Release 12 (2016). Why a 1000x Increase in Capacity? Mobile operators are seeing a huge increase in capacity demands from mobile users. The rise of multimedia applications and streaming video on handsets and portable devices has lead to saturation of many traditional cellular standards and networks. LTE Advanced enables many new and innovative approaches and new deployment models which are crucial to solve the challenge that is of the magnitude as 1000x. Small cells are at the heart of the solutions to the 1000x challenge. Specifically, hyper-dense deployments of small cells. LTE Advanced carrier aggregation enables utilization of many new spectrum bands, including higher and unpaired bands. LTE Advanced can aggregate up to five carriers (up to 100 MHz) to increase user data rates for all users and increase capacity for bursty applications. As a first step, the aggregation of two 10 MHz carriers, enabling 150 Mbps (Cat 4) peak data rate was launched in In June 2013, with available LTE CPE devices and modems. Following up on that, next generation LTE modems were announced in Nov 2013, aggregating two 20 MHz carrier enabling 300 Mbps peak data rate (Cat 6). Carrier aggregation continues to evolve, supporting aggregation across FDD/TDD, across cells (Multiflow) , and across licensed and unlicensed bands. The anticipated 1000x capacity increase warrants hyper-dense small cells deployments. But it is not just about adding small cells. LTE Advanced optimizes small cell performance through features such as “Range Expansion” to ensure that capacity scales with the amount of densification. This is possible only with advanced interference management techniques such as FeICIC/IC. This has two components: FeICIC that provides interference coordination between small cells, on the network side; IC which cancels interference on common channels, on the device side. Enhanced receivers play a pivotal role in further improving LTE Advanced. 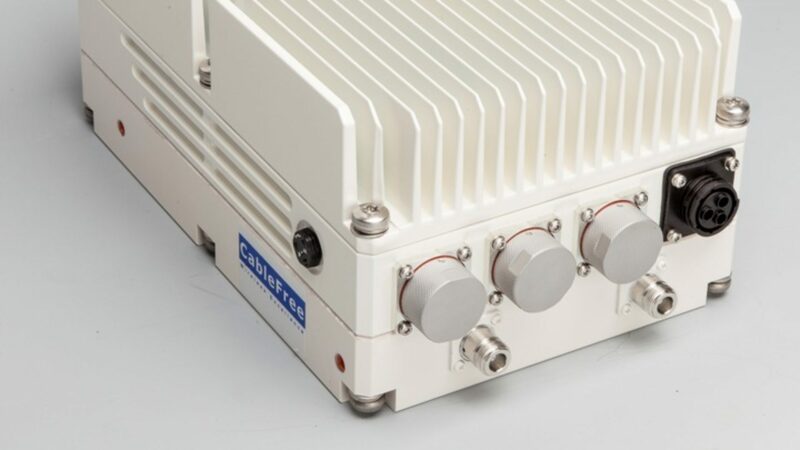 For example, devices that cancel inter-cell interference on both common and data channels provide more capacity and better data rates, especially at cell-edges, thereby increasing the user experience. Interference cancellation is even more beneficial at managing interference in dense small cell deployments, significantly increasing their overall performance. Advanced antenna techniques such as higher-order MIMO are also part of LTE Advanced (up to 8×8 MIMO defined). From today’s 2×2 MIMO configuration the logical next step is to implement 4x receive diversity, which brings most of the gain for four antennas. Supported by its vast and ever growing ecosystem, LTE Advanced is not only continuing to improve performance through enhanced receivers, even better HetNets, but also expanding into many new areas beyond traditional mobile broadband. Extending LTE Advanced to unlicensed spectrum, LTE Direct for proximity based direct device-to-device discovery, LTE Broadcast as a platform for terrestrial TV are some examples of such expansion. So, LTE Advanced is not mere collection of few 3GPP releases, but will continue evolve and will play a pivotal role in the future of wireless for many years to come. Bringing the higher performance and robust mobility of LTE Advanced to unlicensed spectrum immensely benefits both 3G/4G operators and users. Operators can leverage both licensed and unlicensed spectrum using a unified network to augment data capacity while providing the tightest possible interworking between the two. Users get seamless broadband experience and robust connectivity because of a mandatory anchor in the licensed spectrum. LTE Advanced in unlicensed spectrum targets bandwidth-rich 5 GHz band and can be deployed in countries such as the USA, Korea and China with existing standards (3GPP Rel 10) and existing core network. Other countries need standard modifications to meet regulatory requirements (targeted for Rel 13). Wireless Excellence is at the forefront of Wireless Technology development and supports the very latest LTE developments in the CableFree range of Software Defined Base Stations, which enable upgrade of features via software updates.